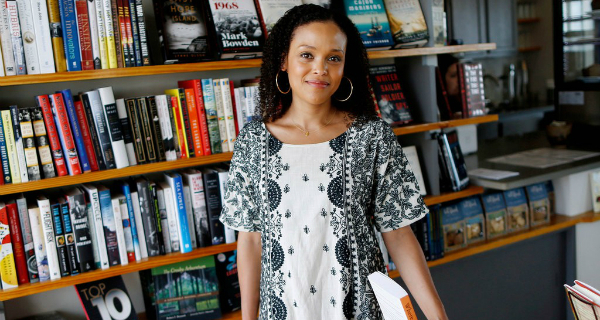 Earlier this year I spent time deeply immersed in Jesmyn Ward's worlds. I started with Sing, Unburied, Sing, reading about JoJo and his sister Kayla, their struggles with their mother, and the ghosts—both literal and figurative—that haunt their family. Ward's work manages to capture the laughter, sadness, and pain that we all experience, usually within a single event or incident. Her writing was evocative, full of joy and sorrow. I was desperate for more. I moved on to Men We Reaped: A Memoir, Ward’s recollection of the five men she lost in her life over five years. The friends and family she lost reminded me of my own friends and family; I grew up with boys like her brother, Joshua, who was killed in a hit and run accident. Her family navigated through the difficult process of court, only to see the driver escape with minimal consequences. What I did not know at the time was that Ward and her writing would help me navigate my own family tragedy. On April 9 of this year, a driver hit my 10-year-old son, Joaquin, while he was riding his bike to school. We spent the next five days with him in ICU as he began recovery from a Traumatic Brain Injury, and the next 10 days trying to orient him back to reality and help him connect these floating, disconnected memories in the his brain back to the real world. My wife and I split shifts over the next few nights at the hospital. As I wrestled with the anger and frustration that I felt toward the driver who hit him, the cop who took our contact information and ultimately did not follow up, I read about Ward and her family navigating very similar struggles. The driver who killed her brother Joshua ultimately spent three years in jail, not for manslaughter, but for leaving the scene of the accident. When talking or writing about the tragic, we tend to present these events as devoid of hope. Ward’s writing manages to dwell on the hope, bringing it front and center. She writes about the nighttime car rides with friends spent enjoying life and each other’s company that she can no longer experience. As I look back on his Joaquin’s accident, I try to hold on to the hopeful moments. One night in the hospital as Joaquin had me take him to the bathroom, he stopped to look at himself in mirror. It was one of the first times he saw his broken nose and his face, all scraped and swollen. A front tooth was missing. He sighed heavily, and asked me what happened. Before I could give him a full answer, he looked back at the mirror and practiced the floss, a popular dance for elementary school kids. Ward’s writing gave me a chance to work through my own ghosts, and let go of them. Manuel Aragon is a Lighthouse's Operations Manager, and a graduate of NYU’s Maurice Kanbar Institute of Film and Television at Tisch, Manuel has spent most of his working career at nonprofits, in a variety of roles.